Normally when I set out to review an app, it’s not usually one that I’ve been using for some time previously. But today is different, as I’ve formerly used Dropbox as part of previous employment, so I’m well acquainted with this one. And while Dropbox won’t be useful for every small business out there, if you need to keep in touch with employees at a distance, and pass a whole lot of documents back and forth to said employees, then Dropbox will give you a whole lot of extra help. 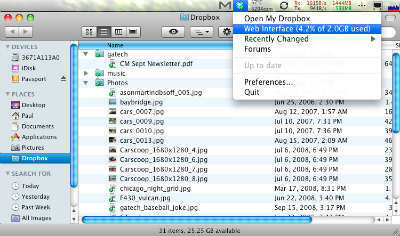 Dropbox serves as a private channel from which to move documents from one computer to another. Basically, one user can put documents in his Dropbox, and another user can access them later, operating almost like email, but without the space constrains often enforced by email programs. The amount of space you’ll have available to you varies depending on the package you’re willing to take on. A free version offers two full gigabytes of storage and transfer, while for $9.99 a month you can get 50 gigabytes, $19.99 a month ups that to 100 gigabytes, and a full terabyte can be had when you upgrade to the Dropbox For Teams setup. The program is surprisingly easy to use, and you should be able to go from “complete neophyte” to “accomplished user” in a matter of days, at least if the experience I had was any indication. Of course, one of the issues I had early on was why anyone would want to use a program like this when email, and attachments, were so much simpler. And for the most part, you probably won’t even need a system like Dropbox, unless you’re dealing with large quantities of documents (you can just slot them in and let the program do the rest instead of sending one email after another), or with large documents or similar files (even the free Dropbox gives you two gigs of storage). 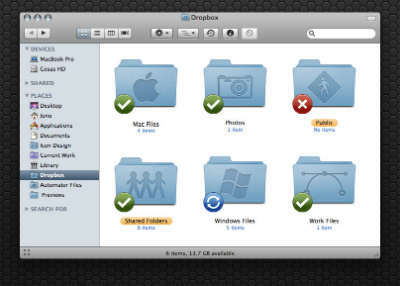 But if you do deal with large numbers of documents, or big files, then you’ll welcome the added versatility Dropbox provides. So in order to determine just how useful Dropbox is for your business, you’ll need to consider just how often you communicate with your employees, if you have them, and at what distance. But if you do find yourself needing this kind of service, then you should be very, very pleased indeed with how Dropbox works out for you. This entry was posted in Employees, Virtual Office by Steve. Bookmark the permalink.